Adventures in Europe… rewilding is a reality! Within my first months at Rewilding Europe, I was fortunate enough to travel to many of the rewilding areas, meet great people and get some amazing insights into how we are going to reach our rewilding goals! 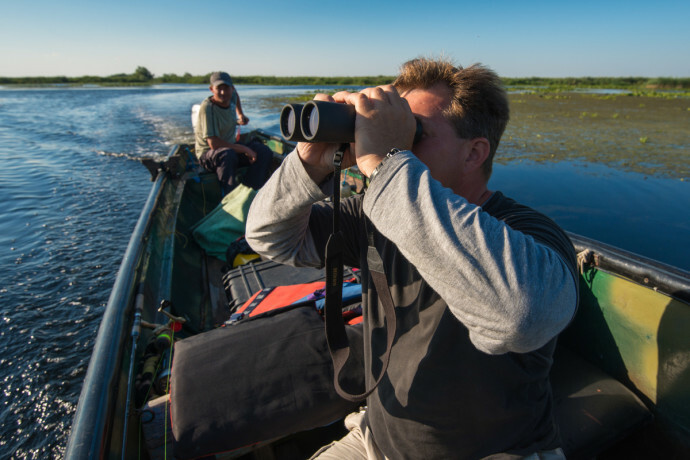 Bird watching in Danube Delta, Romania. The delta is a famous bird hotspot famous for richness in terms of species and numbers. Travelling through rewilding in Portugal, Croatia, Italy and Romania offered such a varied experience, filled with diverse cultures, beautiful scenery and the excitement of the wilderness that we are working with. The people are rich in history, aged through experience and culturally proud of their homes – you would hope we all are! There are many key ingredients to these experiences…and all are vital! 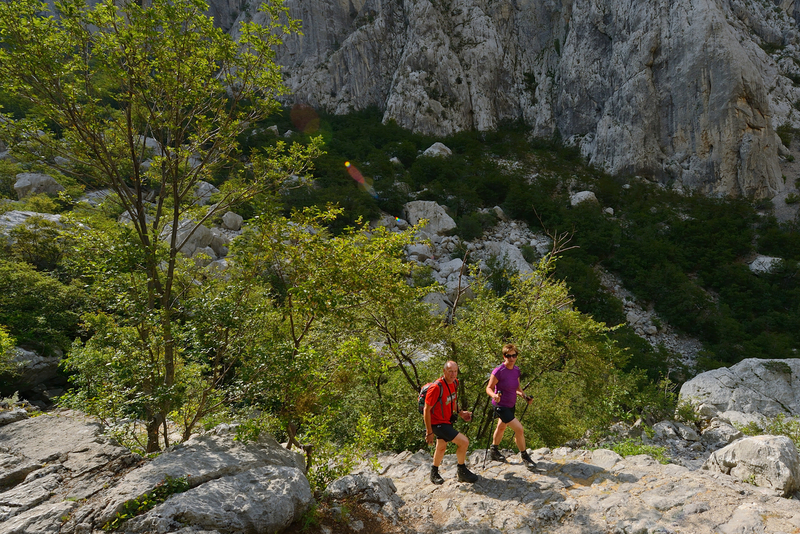 Hikers in the Paklenica National Park, Velebit rewilding area, Croatia. The ancient architecture, the traditional way of life, the generosity and genuine kindness of people into whose homes I was invited, and their smiles, that were true and real. The wild areas are intertwined with villages and people… connected spaces with such varied use. There are high mountains, fresh, clear streams, amazing forests that stretch from the earth to the sky, and clean, sweet air that brings happiness with each breath. There are wild animals amongst us, living in the forests and on the edges of the farmland. They have been there, at a distance, surviving. Animals of magnitude: bear and wolf; bison and wild boar; deer and chamois, and birdlife that will amaze each guest and visitor. It’s easy to forget these moments of awe when you are back in the city, behind a computer or catching a train with all the other hustle and bustle that goes with that… moments when you find yourself staring open-mouthed at the sheer beauty of the Central Apennines, or the vastness of the Danube Delta. Introducing friends and strangers to rewilding is always so much fun, with facial expressions like those of children who have just seen that pile of presents waiting for them… it’s that look of absolute excitement and amazement at the same time. Most people I talk to don’t know about the wild wonders that fill the European landscape, and rewilding is a complete shock to them, albeit a good one. Imagine being able to combine a weekend in Rome with a trip into the mountains…where you can hear wolves at night, and bears are seen at dawn… jaw dropping, and simultaneous responses of ‘I can do that in Italy?’ and ‘only two hours from Rome?’ resound off the walls. It is difficult for people to imagine a holiday anywhere filled with great culture, hospitality, wildlife, scenery, adventure, activity and learning…it is even more difficult for people to realize that these holidays are only a few hours away from home, right here in Europe. 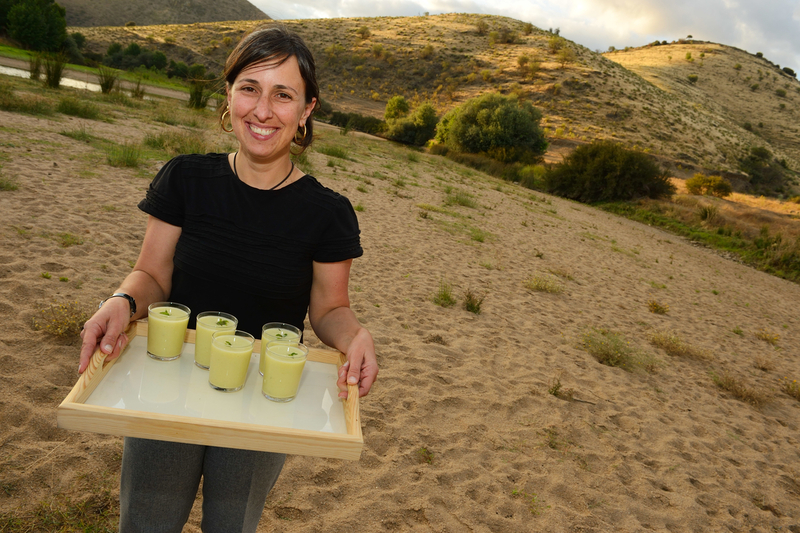 Dinner in the bush – a local tourism concept for groups in the Faia Brava reserve, in the Western Iberia rewilding area, Coa valley, Portugal. “It took me a few hours by train, slowly winding my way further away from the coast towards the famed Douro valley in the Western Iberia rewilding area, Portugal. The hillsides were covered in vineyards and olive groves, the colours were rich yellow and red as the season was turning. I could feel the fresh evening air, and the distant sound of dogs barking filled the night. The sky was a blanket of stars with little light pollution. As we headed down into the dark river valley a glimpse of sheep scattering into the darkness caught my eye, and the bumpy road and steep slopes had my adrenalin going, and added to the excitement of going to see ancient rock engravings…albeit at night. We left the car, and by foot and flashlight wandered toward the rocky sides of the valley. Antonio, an expert in his field explained some of the history, the discoveries and the artefacts that filled this area. He pointed out some significant sites along the way, including a part of the old Roman road, etched into the hillside. I could hear the water rushing down in the river behind me, surrounded by complete darkness. We sat in front of a large rock face with an uneven surface and some cracks… the light flicked on and the rock face leapt to life. It was covered in intricate rock engravings, layer upon layer and each with a mesmerising tale attached to it. It was a completely surreal experience – one that is etched in my mind. Large engravings being brought to life by the light from the torch, and with the backdrop of stars, it was difficult to contemplate that people had been visiting this spot for thousands of years. After an hour we left history behind and gradually made our way back to the surfaced road, returning to civilization. Discover the Grand Route on a three day cycling tour. Western Iberia rewilding area. Returning to the cozy guest house Quinta de Pêro Martins, a warm fire and delicious homemade treats awaited- even though it was almost midnight. The conversation and stories ran on for a long time, fuelled by passion and some of the local wine, and accompanied by the crackling fire. Each rewilding area has its own uniqueness, its own attractions, and its own flavour. And all of them only a few hours away from the big cities and our busy lives! Do you have rewilding adventures you want to share with us on Facebook? Or join the Club of Rewilding Europe and start planning that next adventure!